Now, the full fan look goes luscious. 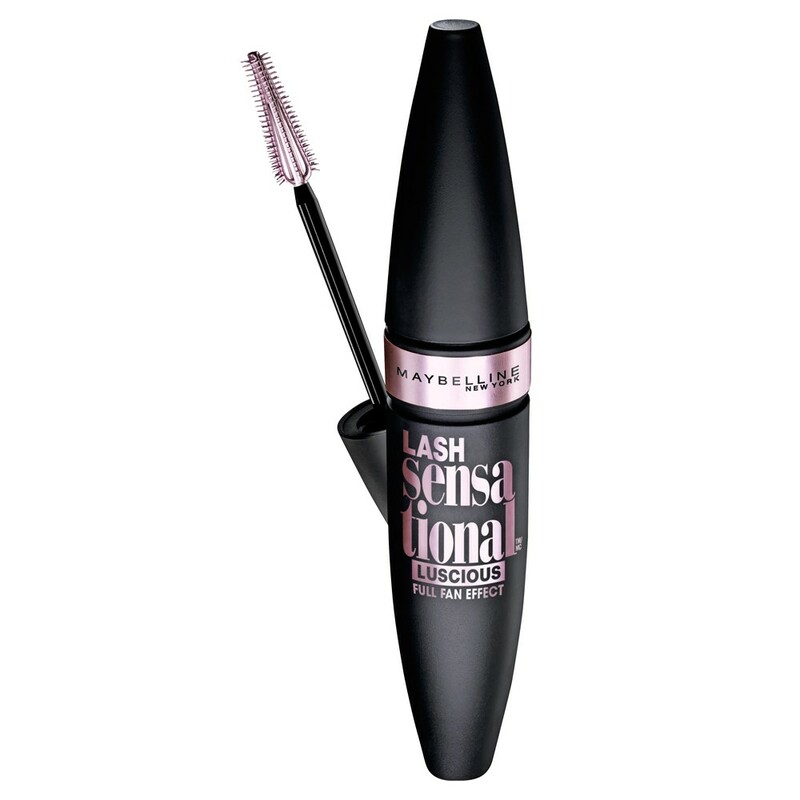 Introducing Lash Sensational Luscious, for fuller, richer lashes from corner to corner. OIL-INFUSED FORMULA: Enriched with a blend of precious oils to condition lashes, leaving them feeling more nourished than ever. FANNING RESERVOIR BRUSH: The revolutionary reservoir brush reaches every last lash for a full fan effect. THE RESULTS: Volumised, nourished lashes for a sensationally luscious look. Sweep the fanning reservoir brush from root-to-tip, use narrow tip to easily reach even the tiniest lashes in the corners. G684392 1 INGREDIENTS: AQUA / WATER / EAU, PARAFFIN, CERA ALBA / BEESWAX / CIRE DABEILLE, STYRENE/ACRYLATES/AMMONIUM METHACRYLATE COPOLYMER, PEG-200 GLYCERYL STEARATE, COPERNICIA CERIFERA CERA / CARNAUBA WAX / CIRE DE CARNAUBA, BUTYLENE GLYCOL, SILICA, ETHYLENEDIAMINE/ STEARYL DIMER DILINOLEATE COPOLYMER, STEARIC ACID, CETYL ALCOHOL, PALMITIC ACID, VP/EICOSENE COPOLYMER, LITHIUM MAGNESIUM SODIUM SILICATE, CARTHAMUS TINCTORIUS SEED OIL / SAFFLOWER SEED OIL, DIMETHICONE, AMINOMETHYL PROPANEDIOL, PHENOXYETHANOL, POLYURETHANE-35, CAPRYLYL GLYCOL, ARGANIA SPINOSA KERNEL OIL, SODIUM DEHYDROACETATE, TOCOPHERYL ACETATE, ROSA CANINA FRUIT OIL, DIMETHICONOL, SODIUM LAURETH SULFATE, DISODIUM EDTA, MYRISTIC ACID, STEARYL ALCOHOL, MYRISTYL ALCOHOL, TETRASODIUM EDTA, POTASSIUM SORBATE, PENTAERYTHRITYL TETRA-DI-T-BUTYL HYDROXYHYDROCINNAMATE, PROPYLENE GLYCOL, BHT, PROPYL GALLATE, CITRIC ACID. [+/- MAY CONTAIN / PEUT CONTENIR CI 77491, CI 77492, CI 77499 / IRON OXIDES CI 77007 / ULTRAMARINES CI 77891 / TITANIUM DIOXIDE MICA CI 75470 / CARMINE CI 77288 / CHROMIUM OXIDE GREENS CI 77742 / MANGANESE VIOLET CI 77510 / FERRIC FERROCYANIDE ] F.I.L. 179215/1. To safeguard Maybelline purity, reserve this product for your personal use. Treat the applicator with the hygienic care you give your eyes. Do not dilute mascara with water, saliva, or any other substance. If change in odour or appearance occurs, discontinue use. Do not use this or any other cosmetic if your eye is injured, irritated or infected. This mascara is my top favourite! It separates my lashes and I only need one coat! It's long wearing and a very wet consistency which I love as it doesn't get clumpy throughout the day. I find this mascara to be very wet, and the brush comes out with a lot of product which means you have to scrape it back into the bottle which is not ideal when you're on the go. Because of the wet formula, I find it transfers very easily and makes my lashes stick together much easier. It's not a terrible mascara, but there's definitely better out there which I much prefer.